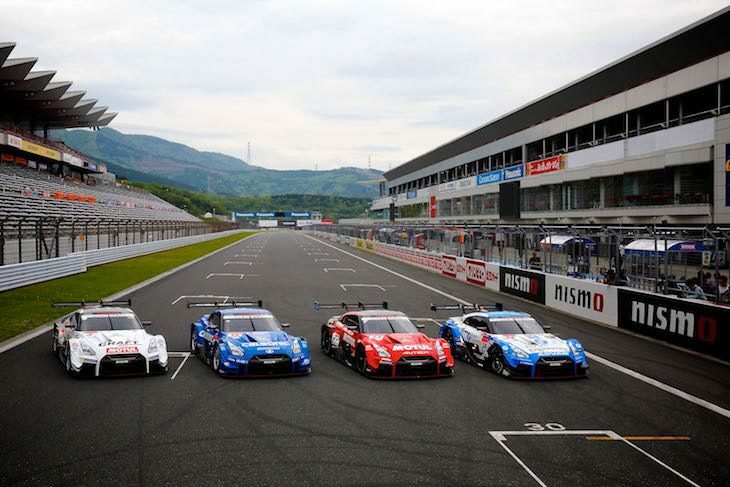 At the Nissan Gallery in Yokohama, Japan, Nissan announced their 2019 motorsports activities – including the full factory and customer racing programmes taking part in this year’s Autobacs Super GT Series. Nissan look to recapture the championship in the GT500 class for the first time since 2015, with four Nissan GT-R NISMO GT500s, and a revamped eight-man driver lineup featuring the blockbuster acquisitions of Kohei Hirate, Frédéric Makowiecki, and James Rossiter, who all join the Nissan racing family in 2019. Motohiro Matsumura, NISMO’s chief operating officer, will assume the role of executive director for the Nissan teams. Toshikazu Tanaka, corporate vice president of NISMO, will become team principal of NDDP Racing with B-Max. 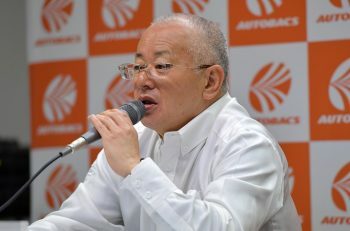 Satoshi Motoyama, who competed in GT500 for 22 years and took home three series championships along with 16 wins for Nissan and NISMO, will support Matsumura as an executive advisor to NISMO. Enhancements to the 2019-spec Nissan GT-R NISMO GT500 include improvements to the balance of aerodynamic performance, a review of weight distribution, increased engine output and power curve optimization. The flagship NISMO team and the red #23 Motul Autech GT-R will lead the way for Nissan in GT500, driven by the most successful driver combination in Super GT history, Tsugio Matsuda and Ronnie Quintarelli. Two-time GT500 Drivers’ Champion Matsuda is the winningest driver in the history of Super GT’s premier class, winning his 20th career race last May at Fuji Speedway. In the 2018 season finale at Twin Ring Motegi, Matsuda joined Satoshi Motoyama and Yuji Tachikawa as one of only three GT500 drivers to score 1,000 career points. Quintarelli is the only four-time GT500 Drivers’ Champion in history, and with 14 career wins, is the winningest foreign driver in GT500. He became only the fifth non-Japanese driver to reach 100 career Super GT starts during the 2018 season. The rest of the Nissan fleet will feature three all-new drivers and three new combinations of drivers at NDDP Racing with B-Max, Team Impul, and Kondo Racing. Two-time GT500 Drivers’ Champion Hirate and French sports car ace Makowiecki make up a brand-new driver combination at NDDP Racing with B-Max, in their #3 CraftSports Motul GT-R. The new team principal is Toshikazu Tanaka, who replaces Nissan racing legend Masahiro Hasemi, who has retired from his post and been assigned a new role as NISMO Honorary Member. Hirate, 32, transfers to Nissan after spending his entire professional racing career with Toyota. He won the GT500 championship in 2013 with Cerumo, and again in 2016 with SARD. After nine seasons in GT500 with Lexus, Hirate raced in GT300 in 2018, finishing 2nd in the GT300 Championship driving for apr Racing, with four podiums. Makowiecki, 38, returns to Super GT having previously raced for Honda and Dome Racing from 2013 to 2014. During that time, Makowiecki won the prestigious Suzuka 1000km in 2013. Since then, he’s raced around the world as a Porsche factory driver. In 2018, Makowiecki took overall victory in the Nürburgring 24 Hour Race, and GTLM class victories in the 12 Hours of Sebring and the Petit Le Mans at Road Atlanta. Both the NISMO and NDDP Racing with B-Max teams will continue their long-term exclusive partnerships with tyre supplier Michelin in 2019. James Rossiter, the 35-year-old British veteran of six Super GT seasons, and two-time winner of the Suzuka 1000km in 2014 and 2015, rejoins the GT500 field full-time with Nissan as he’ll drive for Team Impul and legendary team principal Kazuyoshi Hoshino in the #12 Calsonic Impul GT-R. Rossiter’s co-driver will be the returning Daiki Sasaki, the 27-year-old graduate of the Nissan Driver Development Programme (NDDP) who has three career GT500 race victories to his name. The iconic Calsonic GT-R will continue to run on Bridgestone Potenza tyres in 2019. Car owner Masahiko “Matchy” Kondo will have one of the most exciting young lineups in GT500 driving for him at Kondo Racing, in their #24 GT-R carrying Yokohama tyres. 25-year-old NDDP graduate and 2011 All-Japan Formula 3 champion Mitsunori Takaboshi will now be partnered by the 2011 GT Academy Champion, 27-year-old Jann Mardenborough, who joins Kondo Racing after two seasons with Team Impul. Takaboshi and Mardenborough will continue to carry out their respective duties as reserve driver and simulator driver for the Nissan e.dams Formula E team. Nissan are also fielding six current-generation GT-R NISMO GT3s in the GT300 category, a winner in its first year of competition in Super GT. Kyoto-based Gainer Inc. will once again field two Nissan GT-Rs in the GT300 category. Three-time GT300 vice-champion Katsuyuki Hiranaka and 2008 GT300 Champion Hironobu Yasuda, who took the new GT-R GT3’s first Super GT win last July at Chang International Circuit, will return to drive the #11 Gainer TanaX GT-R, running on Dunlop tyres. 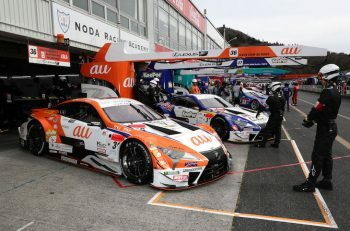 The #10 Gainer TanaX triple a GT-R will be driven by two-time GT300 Champion, Kazuki Hoshino, and his new teammate, 24-year-old Keishi Ishikawa, a former Honda junior driver, and veteran of two full-time Super GT campaigns. The #10 GT-R will carry Yokohama Advan tyres. 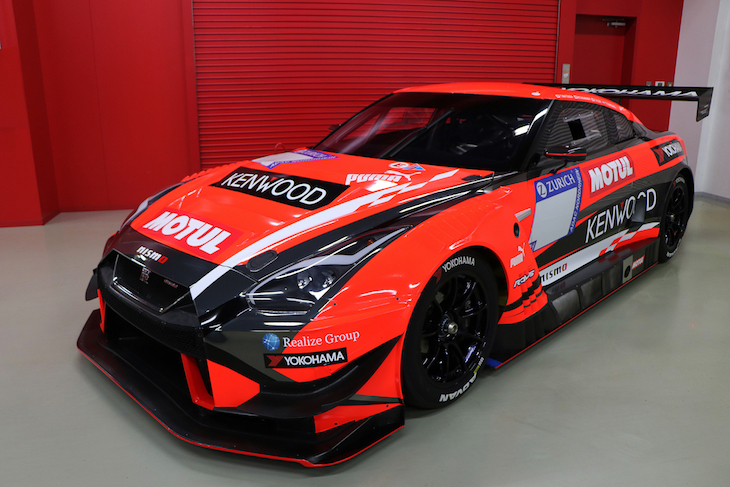 Nissan’s customer racing efforts in GT300 are bolstered by the additions of Kondo Racing and Hong Kong-based X Works, each with their own brand-new GT-Rs. Kondo Racing’s programme steps up from the ST-X class of Super Taikyu into GT300 after winning the 2016 series championship. The team and their #56 Realize/Nissan Automobile Technical College GT-R will be supported by the student mechanics of the Nissan Automobile Technical College, and technical staff from various Nissan dealerships across Japan, in the newly-formed Nissan Mechanic Challenge. 27-year-old Kazuki Hiramine, who drove Kondo Racing to the 2016 championship in Super Taikyu, transfers over from Team JLOC, joined by 19-year-old French-Argentine phenom Sacha Fenestraz, who makes his GT racing debut after success in single-seaters in Europe, including the 2017 Formula Renault Eurocup Championship and victories in the European Formula 3 Championship. Also joining the grid is the X Works team, based out of Hong Kong, who will field a brand-new Nissan GT-R NISMO GT3. Their car number, sponsor, and drivers, will all be announced at a later date. Japanese independent team Tomei Sports will also upgrade to the 2018-spec GT-R GT3, with gentleman driver Atsushi Tanaka returning to the team with a supporting cast to be announced. NILLZ Racing, who competed from 2012 to 2018 as Dijon Racing, will hope to bid the 2015-spec GT-R a fond farewell from the Super GT circuit with drivers Masaki Tanaka and Taiyou Iida.